Aonach Beag and Aonach Mor are the two highest peaks on a long ridge running N-S from the Great Glen to the head of Glen Nevis. 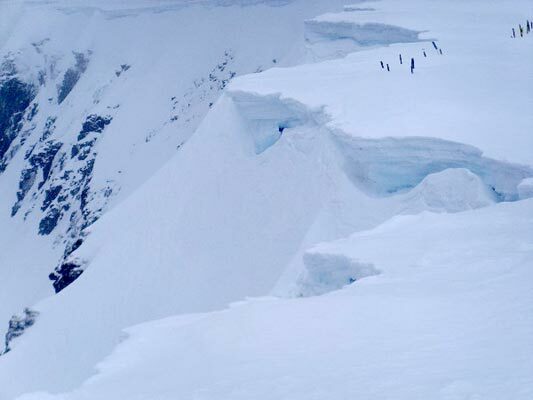 The sides of this ridge are generally steep and craggy and it is best to assume that you should only attempt an ascent or descent from the N or S ends of the ridge. As the N slopes of Aonach Mor are developed for skiing, it is normal to ascend both these mountains from the S via Sgurr a'Bhuic. 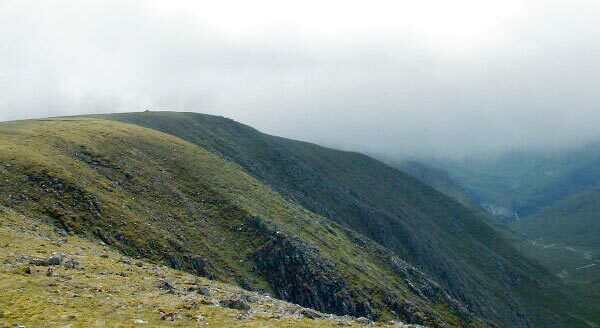 An alternative route leads up Coire Giubhsachan to a high col (830m) between Aonach Beag and Carn Mor Dearg. Whilst an ascent of this path is relatively easy, it can be difficult to locate when descending and any deviation will lead you to dangerous crags. If in doubt avoid this route. Ben Nevis range seen across Loch Eil from near South Garvan. The Ben on the right, with smooth-looking Carn Mor Dearg in centre contrasting with craggy Aonach Mor on the left. 2nd November 2008. 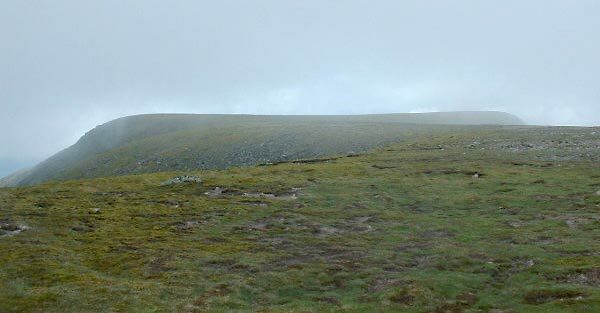 Looking south along the west edge of the summit plateau to the cairn on the horizon. Looking north across the vast flat expanse of the Aonach Mor summit plateau from the cairn. The summary information of one or more ascent routes that include Aonach Mor. 1 2025 m 16.11 km 7 hrs Aonach Beag [Nevis region] and Aonach Mor Moderate climb with some steep ascents and many crags either side of the summit ridge, Navigate with care. Excellent views of Ben Nevis and Carn mor Dearg. 2 1740 m 15.10 km 6 hrs Aonach Beag [Nevis region] and Aonach Mor A strenuous route in places with short sharp ascents but relatively easy. Care is required in low cloud to attain the narrow ridge between Aonach Mor and Aonach Beag. The route along the Allt Coire Giubhsachan can be very boggy in wet periods. 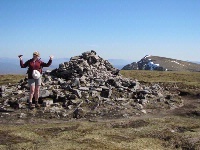 Joyce at the summit cairn of Aonach Mor, with Aonach Beag n the distance. Decent day! 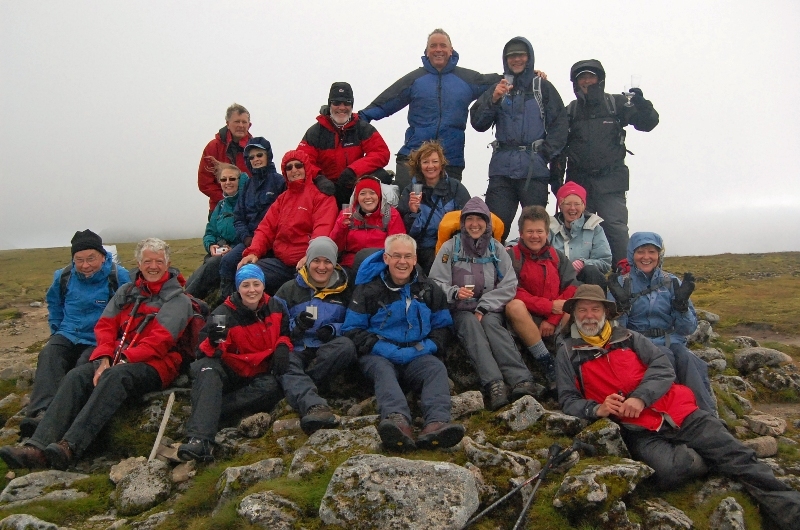 Thanks to all friends, family and members of Mannofield Hillwalking Club who were able to join Lynda & Scott on their Final Munro - 20th August 2011. 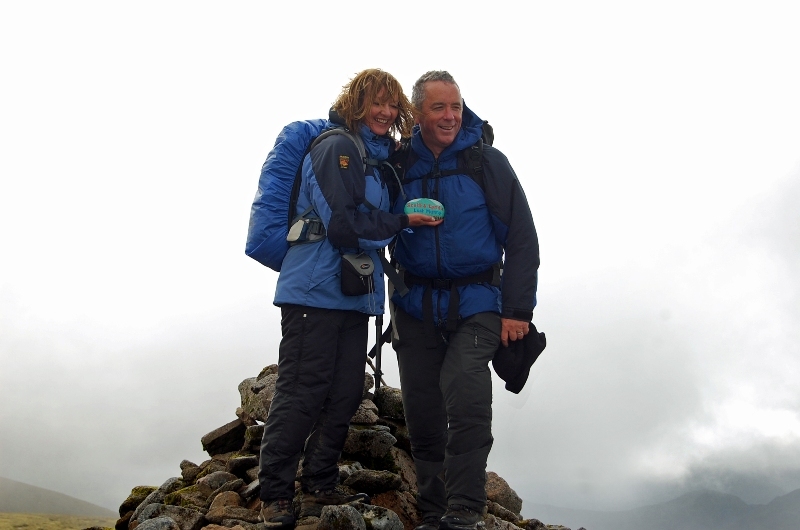 Lynda & Scott at summit of Aonach Mor (Final Munro) 20th Aug 2011. 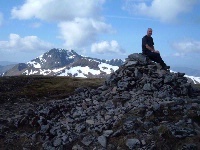 Me at the summit of Aonach Mor with the CMD and Ben Nevis in the background.26/04/2011. 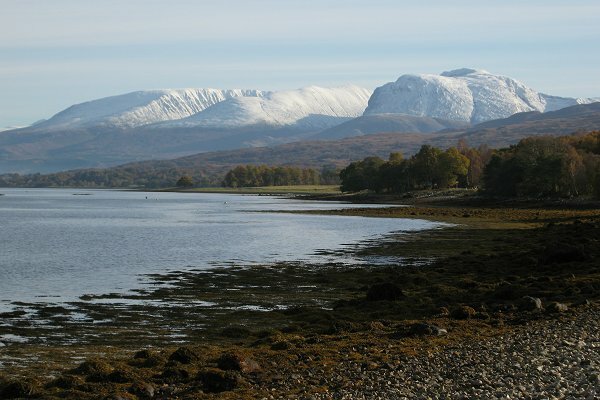 Post a few words about Aonach Mor or read what others have had to say.